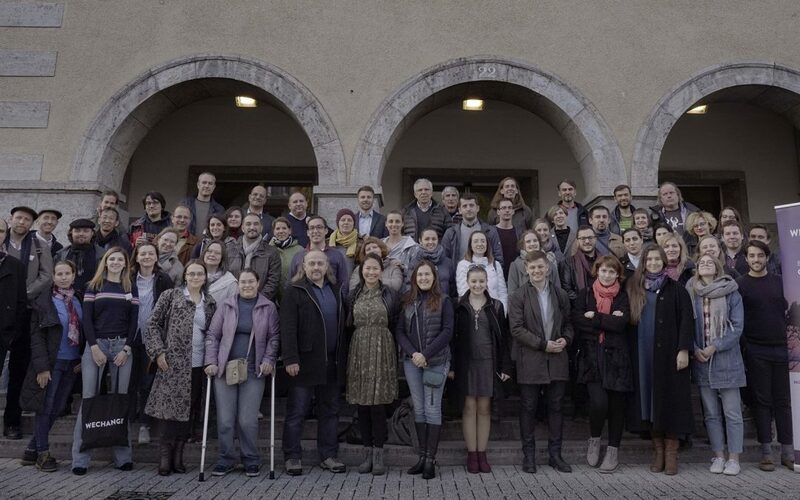 At the start of November, the first WECHANGE conference for representatives of civil society from Eastern Partnership countries, Germany and Russia took place in Berlin. In the opening speech, one of the founders of WECHANGE, Michael Mischke, highlighted that it is essential to unify the ecosystem of digital economy with civil society. Such an ambitious goal set the tone for the conference. Even at the conference itself, acquaintances grew into collaborations. Some of the projects want to embrace practically all the countries. Ramiz Aliyev (Youth Express Network): “We will do a youth exchange on the topic of youth social rights, so that young people will work together, discuss how to protect social rights, how to promote them in society. We want to attract participants from Azerbaijan, Georgia, Ukraine, Belarus, Germany, and potentially from Russia. The Wechange team was pleased to welcome the participants in Berlin and thanks them all for their active participation and looks forward to further cooperation.